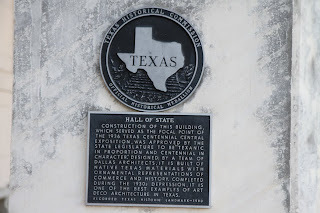 "Construction of this building, which served as the focal point of the 1936 Texas Centennial Central Exposition, was approved by the State Legislature to be "Texanic in proportion and Centennial in character." Designed by a team of Dallas architects, it is built of native Texas materials with ornamental representations of commerce and history. 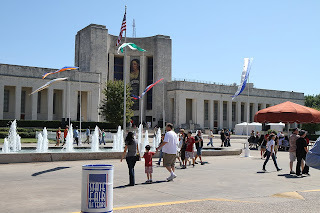 Completed during the 1930s Depression, it is one of the best examples of Art Deco architecture in Texas." 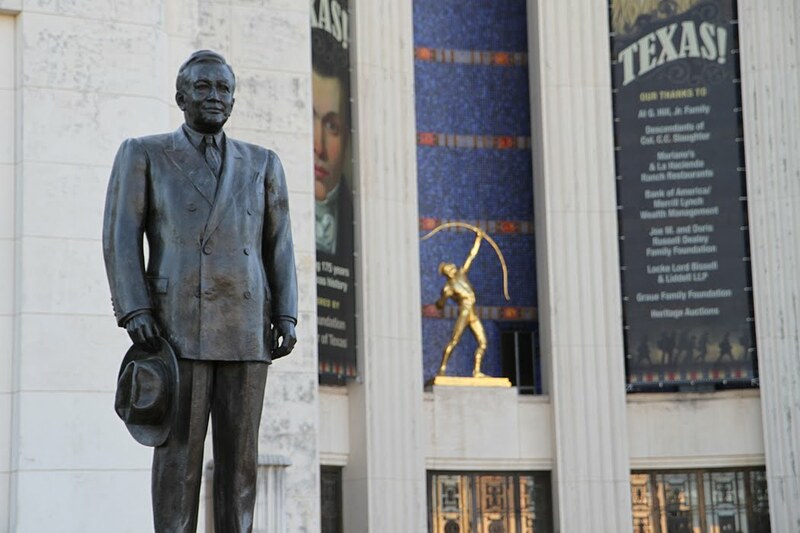 Outside the building you can see statues of former Dallas mayor R.L. Thornton and the "Tejas Warrior."